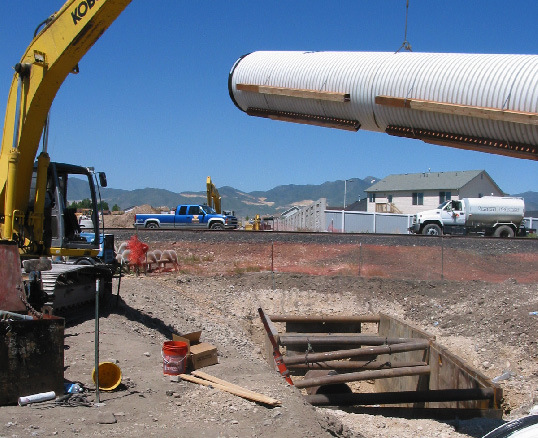 West Jordan City’s new RCP storm drain needed to run under the railroad tracks near the Old Bingham Highway. Jacking concrete pipe is a costly and time-consuming process and was not acceptable to the railroad. 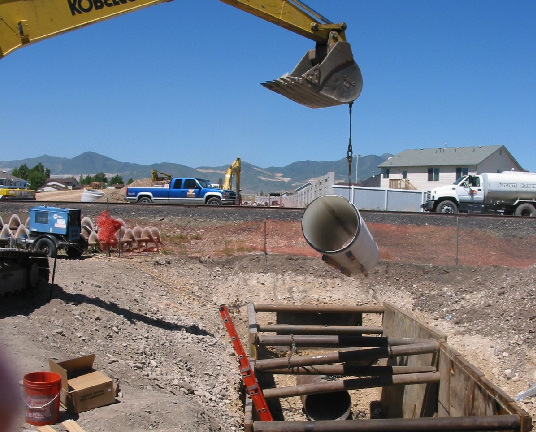 Jacking a smooth steel pipe casing was quick and economical. Contech’s A2™ LINER Pipe, with smooth interior (.009 mannings “n”) and flush bells was easily slipped through the steel casing pipe and connected to the RCP storm drain system. The result was a quick economic connection, which met the railroad’s approval. Contech A2 Liner Pipe uses proven trenchless installation methods to slipline existing sewer lines without the disruptions associated with open trenching, while also increasing productivity and lowering costs.